This time I’m not here to talk about Ohkawa’s doings, instead I’m here to talk about her recent music taste. As a Brazilian, I just had to do it. Recently, I’ve been listening to Lisa Ono-san’s beautiful tune. I’ve been listening to those while reading books and magazines. Even though I liked them from a very long time, recently I’m even more fond of them. my music taste also changes every year. Lisa Ono is a bossa nova singer who was born in São Paulo, Brazil. She moved to Tokyo at the age of 10 and began her career singing in her father’s pub. Her first professional album was released on 1989 and is called Catupiry (that title amused me till no end xD) and since then she became a very popular MPB (Brazilian Popular Music) singer in Japan. Her repertory includes both original and covers of the most famous bossa nova songs. Watch her performing Ela é Carioca on YouTube. The other guy, Jake Shimabukuro, is an ukelele monster! He was born in Hawaii and that is reflected in his songs. He doesn’t seem to sing (at least I couldn’t find any videos of him singing), he “only” plays instruments (but he does it really, really well). Watch him playing Crazy G on YouTube. And this lady, Lisa Ono, I didn’t know her, actually I might know her (I think Yoshiyuki-kun might have told me something about her) and she’s really good! I love bossa nova, it’s so relaxing! 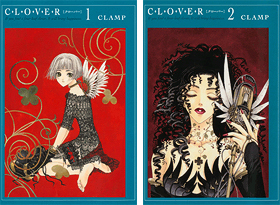 Both volumes of CLOVER Deluxe comes out on July 17. 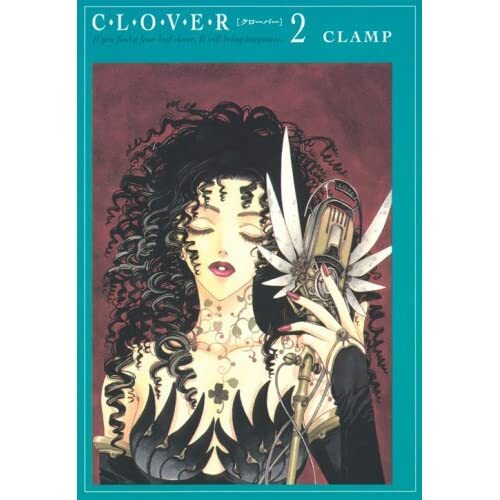 EDIT 2: Amazon.jp has even bigger versions of the CLOVER 1 and 2 covers. The Jake video is very funny XD I like ukelele, but I didn’t know him. It’s strange how the japanese in general love brazilian music. It really is, he’s such a funny guy xD I didn’t know him either, he’s REALLY good! >It’s strange how the japanese in general love brazilian music. Yeah… it gives this feeling to me, of something that is approaching an end. Really? That’s interesting, even though the lyrics are about that, I don’t quite relate the song to that. According to my friend , Japanese are quite fond of bossa nova and it’s usually background music to stores and such. I’m not surprised that Ohkawa likes it. Besides the new covers and bigger format, anything new about the Clover deluxe? >Besides the new covers and bigger format, anything new about the Clover deluxe? I’ll browse them and take a look. I’ll post about it, yes. That’s right XD You can find that kind of cheese mostly on pizza. That creamy one, I love it, by the way. Well ‘katupyry’ translated to English would be something like ‘skilled,’ or ‘clever’/’smart.’ XD Like a cheese. I never had catupiry before. A friend of mine keeps saying she’ll make some for me eventually, I’m rather curious about it.